The Bernie Sanders campaign promises to put the screws to a special class of party elders known as superdelegates. But they've got their work cut out for them in Texas, where well-connected Clinton loyalists are so far not impressed. WASHINGTON — Hillary Clinton so exceeded expectations Tuesday night in her home state of New York that pathways to the Democratic nomination are narrowing for her rival, Bernie Sanders. On the heels of Sanders' loss in the state's Democratic primary, operatives from his campaign are vowing to pressure a special class of party elders known as superdelegates on a one-on-one basis to flip their support from Clinton. If Sanders has a shot at the nomination, some of those hundreds of superdelegates would have to be from Texas. But according to a handful of interviews among the state’s power brokers on Wednesday, turning on the former U.S. secretary of state will be a hard sell in the Lone Star State. Most superdelegates are current or former officeholders or members of the Democratic National Committee. The party created the designation in the early 1980s to exert some control over the nomination process. While Sanders has a few dozen superdelegates backing his campaign, Clinton dominates in support of those Democrats nationally — and particularly in Texas. “I’m trying to figure out what metric I should look at in making a decision to suddenly flip my support for Bernie Sanders," said state Rep. Rafael Anchia, a superdelegate from Dallas. “Hillary Clinton won the district that I represent 70 to 30 percent; she won the state of Texas 65 to 35 percent, roughly; she has won far more states than he has; she has won more pledged delegates than he has." It's an argument many other superdelegates from Texas and elsewhere echoed. But Jeff Weaver, Sanders' campaign manager, made the case Tuesday night that the Vermont senator is the more competitive general election candidate. He said that the Sanders campaign intended to wage its fight all the way to the Democrats' summer convention in Philadelphia. That argument did not hold water to superdelegates reached on Wednesday in Texas and at the U.S. Capitol. Polling over the past year has shown that Clinton is a polarizing figure who struggles to make a favorable impression with many Americans. And there are many polls that do show Sanders leading Republican rivals in head-to-head match ups. But many Democrats argue that is because the American people are still learning about Sanders and because Clinton did not take the brass knuckles to him during the primary campaign the way the Republicans would if he was the general election candidate. “It’s hard for me to look at those polls this far out from the election and give them much validity,” said Dennis Speight, an Austin-based superdelegate. 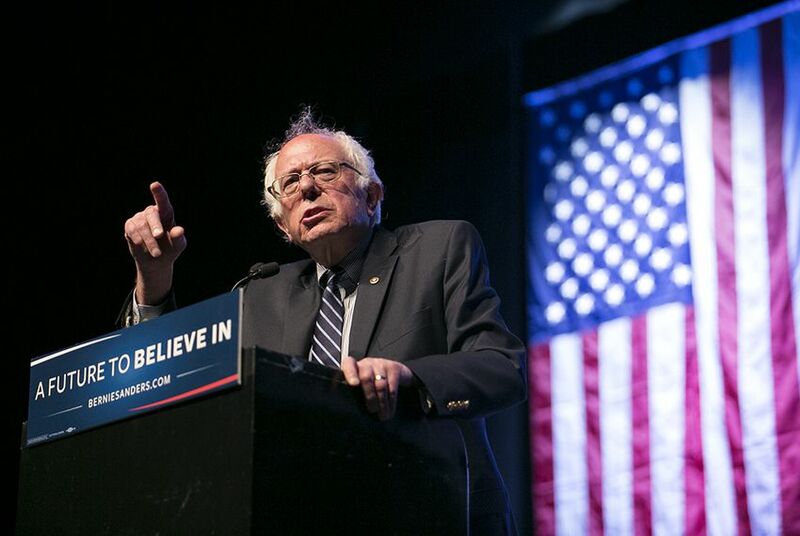 During his time in Congress, Sanders’ ties to the Democratic Party have been tenuous. He called himself an independent but aligned with Democrats. But the greater concern among many superdelegates is that Sanders classifies himself as a socialist. The fear is that the word "socialist" still evokes anxiety among Americans of the Cold War generation. Many Democrats predict a fall GOP ad blitz against Sanders dripping with communist imagery, and fear that such a line of attack would also hurt their candidates down-ballot. Speight, Anchia and superdelegates all over the country are currently the subject of internet-driven lobbying efforts, particularly from supporters of Sanders. In recent weeks, "hit lists" surfaced online with the contact information of these officials. Some superdelegates interviewed for this story said the calls and emails have been relatively polite. Others say the discourse from Sanders backers has bordered on abusive. “I’m with Hillary Clinton 100 percent, and I’m not going to change my vote,” she added. U.S. Rep. Beto O’Rourke, D-El Paso, is an undecided superdelegate and has received plenty of phone calls and messages over social media attempting to sway his vote. He said he won't make a decision until the primaries are over in June. The internet-driven outreach is a world away from the previous superdelegate fight, between then-U.S. Sens. Barack Obama and Hillary Clinton during the 2008 Democratic primaries. Back then, social media was in its infancy and the lobbying took place in person-to-person settings, mostly in Congress. Both Obama and Clinton lined up members to reach out to friends. Secret strategy meetings were held all over Capitol Hill. The Democratic Party roiled with tension, even between the closest of friends in Congress. Former President Bill Clinton was particularly engaged in the lobbying on behalf of his wife and is known to have a long memory on slights. Several of those who reneged on their support for Hillary Clinton later found Bill Clinton on the other side of their own political races. That example has some superdelegates privately wondering why they should consider crossing Bill Clinton for someone who, until recently, didn't even consider himself a Democrat. In Texas, the top two liaisons for the rival campaigns are Sanders’ state director Jacob Limon and longtime Clinton friend and former Land Commissioner Garry Mauro. Both are waging calm, laid-back lobbying efforts, according to undecided superdelegate John Patrick of Houston, which he says is exactly the right tone for him. “Whoever I decide, I decide," said Patrick, president of the AFL-CIO’s Texas chapter. “And the fact that the Bernie Sanders people or the Hillary campaign might be going after the superdelegates is not going to have any influence on me.